Botox is a type of neurotoxin. When it is properly purified, and a professional administers it in small doses, it paralyzes muscles by blocking the chemical signals that cause them to contract. Not only does this help the muscles to relax, thereby dramatically reducing the appearance of wrinkles, but it also blocks the transmission of pain chemicals. The FDA approves Botox for the treatment of chronic migraines. If you suffer from severe head pain for 15 or more 15 days each month, Botox may be able to greatly reduce your number of migraine days each month. In fact, after two to three treatment cycles (spaced about three months apart), your number of headache days may be reduced by up to 50 percent. To experience continued benefits, you may need to receive Botox injections every 10 – 12 weeks or so. Of course, everyone has unique circumstances. 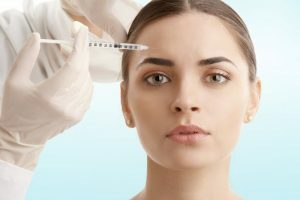 While Botox produces significant pain reduction for many people, whether it works for you will depend on a number of factors, including the specific nature and frequency of your migraines. For example, if you suffer regular but not chronic migraines (if you have 14 or fewer migraine days each month), Botox may not be the best treatment for you. It might be a couple weeks after your first treatment before you notice results. It’s important to choose someone who has extensive experience with Botox to administer your shots. Your local oral surgeons in Houston are qualified to help you. Side effects from the treatment are usually minimal, but they can include bruising, soreness, and a “tired” look on your face. These issues should not last for very long. Botox is a very safe treatment for most people. If you have been officially diagnosed with chronic migraines, it’s possible that your medical insurance will cover your Botox treatment. Botox is bringing relief to countless chronic migraine sufferers! If you would like to learn more about this treatment and discover if it can help you, your local team of medical experts, including your Houston oral surgeons, would be happy to help! Dr. Steve Koo is a Houston oral surgeon who is proud to serve alongside Dr. Thomas Weil to provide excellent, compassionate care to patients. Dr. Koo is an expert on the structures that compose the mouth, face, and neck, making him well-qualified to administer Botox injections. To ask questions about this treatment, contact our office at 713-783-5560.
by: Dr. Steve Koo at October 9, 2018 .